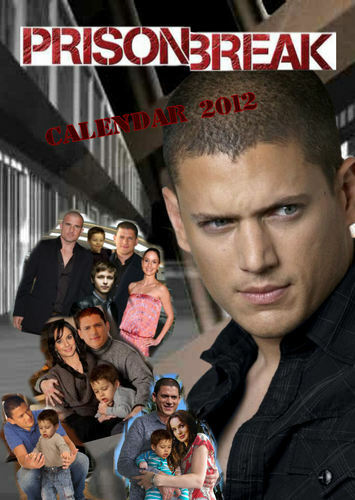 Prison Break - calendar 2012. Prison Break - calendar 2012. HD Wallpaper and background images in the televisie club tagged: prison break calendar 2012 michael scofield lincoln burrows sara lj mj wentworth miller 2012. This televisie photo might contain pak, portret, headshot, and close-up.